One ticket will rule them all after Project Next. Photo: Alex Burgess. The Council is preparing to select and deploy what it describes as a "next generation public transport ticketing solution", under a single procurement for a single national ticketing system for almost all of New Zealand's public transport authorities. Project Next, as the effort is called, is subject to obtaining the necessary procurement process and funding approvals. The system's roll-out will also deliver contactless payment for public transport services. 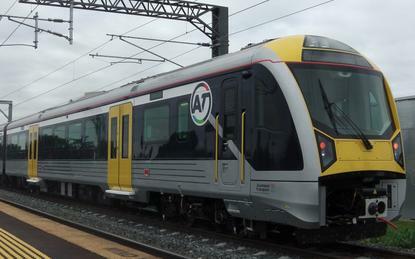 "Over the past nine months the procuring parties, the banking sector in New Zealand and international card schemes have developed and agreed the New Zealand transit payment guidelines which will enable the use of contactless payment cards on public transport," a notice of an upcoming tender states. "The banks selected through the procurement for financial services will be adopting these guidelines." The successful core ticketing solution provider will need to integrate and operate its solution with the successful Project Next financial service providers’ systems. "Project Next is a long term programme designed to procure a technology solution and related services that enables and processes payments for journeys on public transport in New Zealand," the notice states. "The solution must be capable of being progressively deployed to public transport authorities across New Zealand as each authority’s existing solution is replaced." The new national ticketing system will be bought in two parts: one for the core ticketing system and related services; and the other for associated financial services. Only suppliers who are shortlisted from a registration of interest (ROI) process will be invited to respond to the full tender. The ROI is expected to be released in June with an eight-week response period. "Project Next is seeking a prime contractor (which may or may not be a consortium) for the core ticketing solution with the experience, capability, capacity and track-record to provide, implement and operate an important national ticketing solution," the notice adds. The New Zealand Transport Agency is working closely with Project Next and will continue to develop its programme for "Mobility as a Service" (MAAS) in parallel with the ROI stage. MaaS offers a single, connected network-wide transport system focused on providing people-centred services, NZTA says. "By harnessing new digital technologies and through building strong partnerships between the public and private transport sector, new players with new services will have opportunities to transform transport. "To enable us to meet these demands, now and in the future, we need to provide an easier way to compare all these services so that you can make the best choice to connect you to where you need to go, every time." The first step to achieving this is the creation of a single mobility marketplace, called Satori and now being tested in Queenstown and Auckland. Transport service providers including taxis, buses and ride share operators can integrate their live data into the marketplace and process it to optimise an offering to travellers in real time. "This will allow you to view, compare, book and eventually pay for any transport service all in one place through a mobile app," NZTA says. The participating Project Next public transport authorities are Greater Wellington Regional Council; Auckland Transport and Environment Canterbury. This is in addition to a regional consortium comprising: Bay of Plenty Regional Council; Hawkes Bay Regional Council; Invercargill City Council; ManawatuWhanganui Regional Council; Nelson City Council; Northland Regional Council; Otago Regional Council; Taranaki Regional Council and Waikato Regional Council.